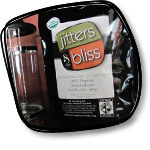 Jitters & Bliss Coffee believes in the "Fair Trade" model. We believe in "Organic" too. We chose to source our "FT-Organic" line, with not one, but both certifications. While neither one speaks of "quality," we are emphatic about it. In other words, our "FT-Organic" coffee is certified, and of the highest quality. We document it on every bag of Jitters & Bliss FT-Organic coffee. Quality Products. Improving Lives. Protecting the Planet. Fair Trade goods are just that. Fair. From far-away farms to your shopping cart, products that bear our logo come from farmers and workers who are justly compensated. We help farmers in developing countries build sustainable businesses that positively influence their communities. We're a nonprofit, but we don't do charity. Instead, we teach disadvantaged communities how to use the free market to their advantage. With Fair Trade USA, the money you spend on day-to-day goods can improve an entire communities day-to-day lives. Fair Trade is a comprehensive approach to sustainable development that improves lives and protects the planet. In the past 12 years, Fair Trade USA and our many partners have generated $220 million in additional income for farmers and workers in the developing world and placed nearly 10,000 Fair Trade Certified products on store shelves across the nation. We're excited to build on this strong foundation to bring even greater impact to farming communities. According to the World Bank, there are still more than 2 billion people living on less than $2 (USD) a day. We find that this figure is as shocking as it is morally challenging. There are so many people; so many communities in desperate need. While we recognize that Fair Trade is not the complete solution for everyone who struggles with poverty, we do believe that Fair Trade can and must do more. Learn more about the Fair Trade for All innovation strategy. In the short-term little will change for producers or business partners. Over time, Fair Trade USA will introduce innovations that will extend the benefits of Fair Trade to millions more farmers and workers. U.S. businesses will have more supply options, offering them more opportunities to do more good for more people. We will also invest more to drive consumer awareness in the United States, which will increase awareness and sales of Fair Trade Certified products and generate significantly more impact for Fair Trade producers. To make Fair Trade for All a reality we need to be able to innovate in ways that work for producers and the U.S. market.